Power steering systems in vehicles operate on either hydraulic or electronic systems. Hydraulic versions derive their power from the engine by a belt that connects to the fluid pump. The power steering fluid is then displaced within the system based on the steering wheel’s movement. If there is no leak, your fluid is intended rarely to need attention. Most reservoir tanks have markings for proper fill level. If you check when the engine is cold, you can monitor the system for leaks. Even small leaks in a pressurized hydraulic system can cause major problems. If you notice a change in quality or level of your power steering fluid, the safest thing is to have it checked. 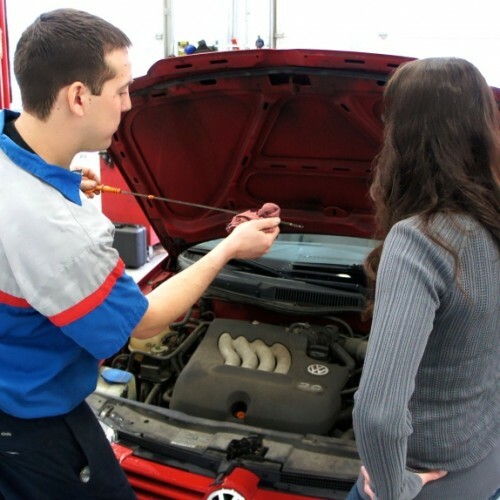 At Certified Auto Repair, we have highly trained ASE Certified technicians. We’re able to quickly tell if your steering system’s fluid is leaking or in need of care. When a service is indicated, we’ll tell you in detail what’s up before we do any work. That way you know up front exactly what your car is getting done. Upon approval, we’ll quickly perform any system repair or fluid flush. Certified Auto is honest and never suggests any unneeded work. Schedule your power steering fluid appointment and let us help keep your car safe.